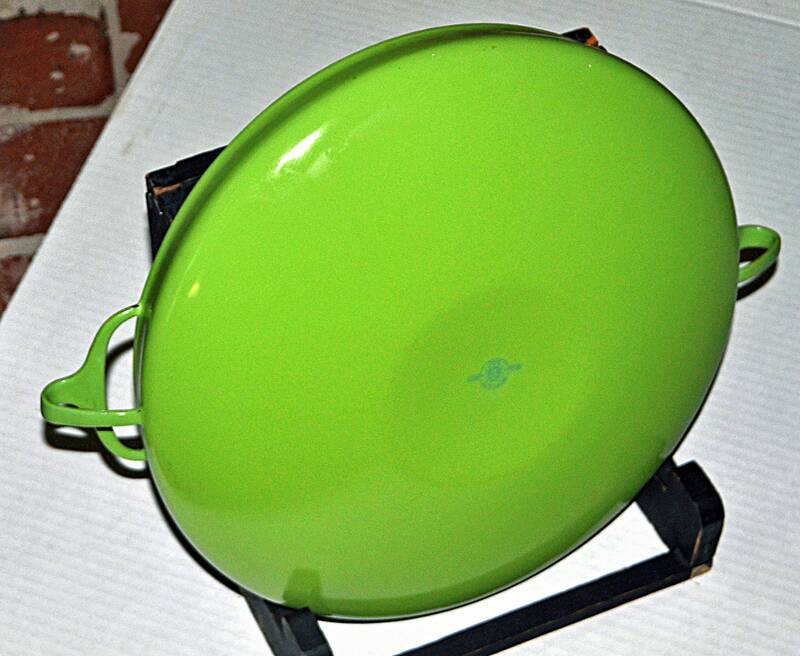 Vintage Rare 1955 DANSK I H Q KOBENSTYLE LIME Green Enamel Paella Pan Jens Quistgaard Danish Modern, Denmark, Only made for One year - 1955. 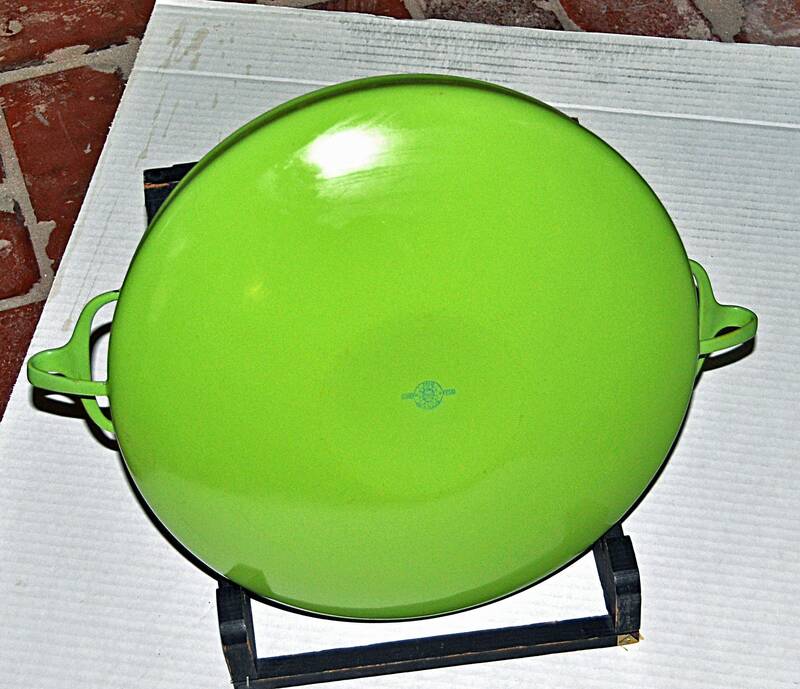 This PAELLA PAN is very rare. 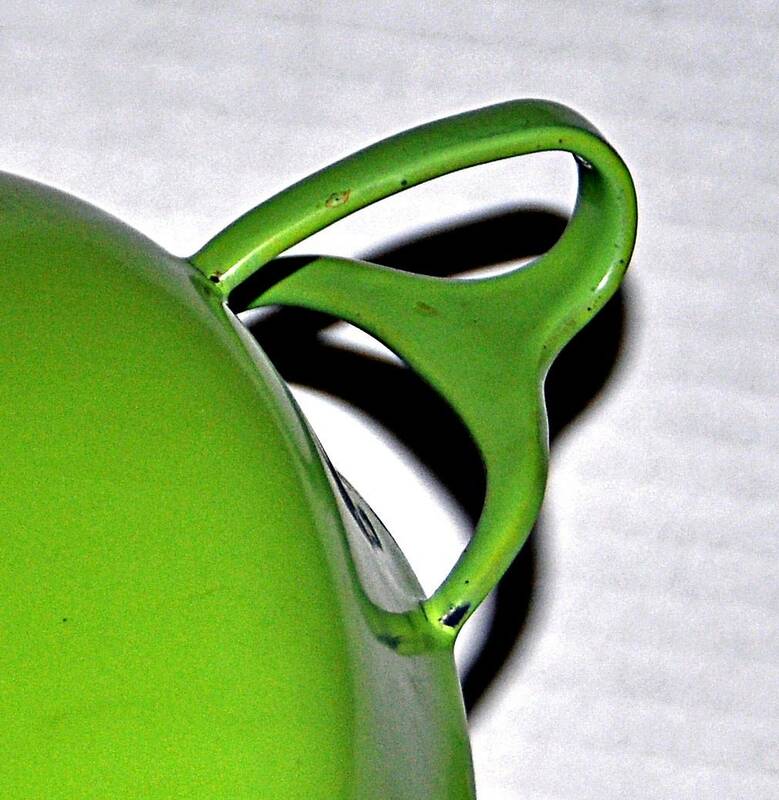 The LIME GREEN was only made for ONE year - 1955.
designed by JENS QUISTGAARD, and made in DENMARK. - making this as early a piece as DANSK produced. IT WAS ONLY MADE IN THE YEAR 1955. 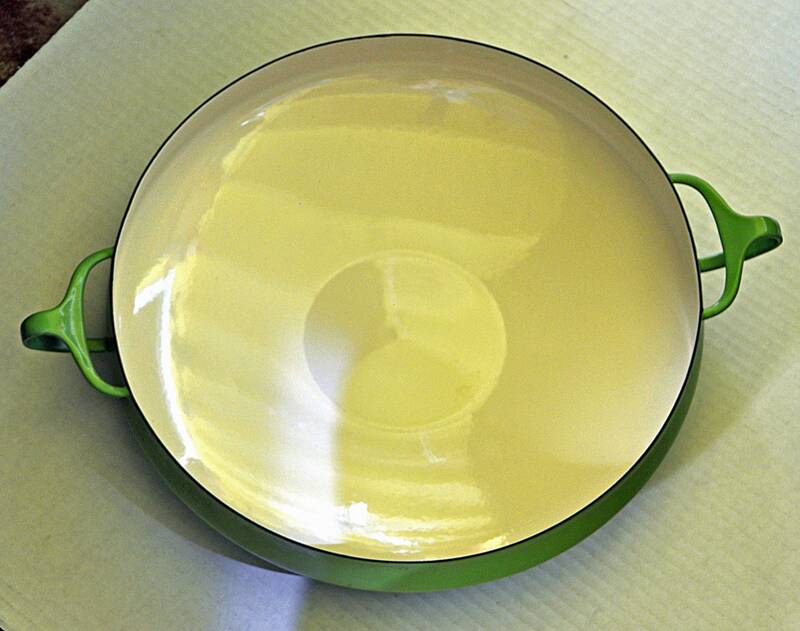 ON BOTTOM OF PAN consistent with STORAGE. Measures 13.5ʺW × 17.25ʺD × 3.5ʺH. and THEREFORE that much more collectible. 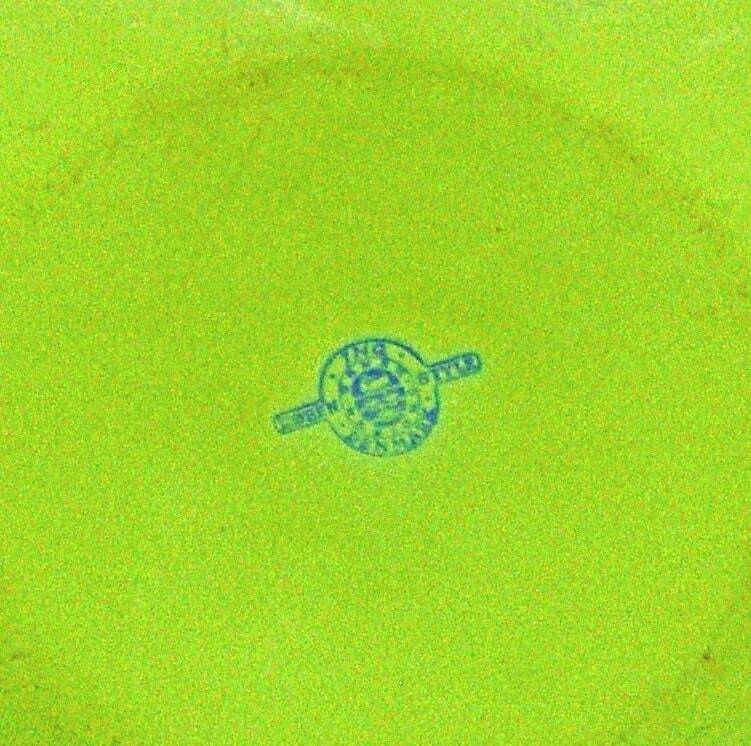 The pot is marked on the bottom with the older 3 duck logo. Made in Denmark. Asking $575.00 – OFFERS WILL BE CONSIDERED. SEND MESSAGE WITH YOUR OFFER. 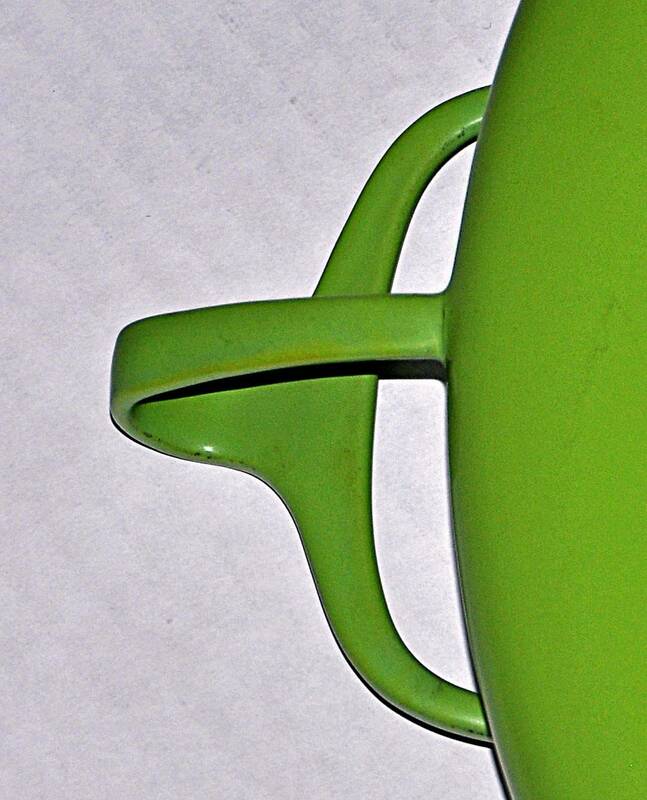 The Dansk company began in 1953 when Martha and Ted Nierenberg were traveling through Europe in hopes of finding a new design that would satisfy the desires of Americans trying to come out of the effects of WWII. People wanted casual, they wanted fun, and they wanted something that would reflect their postwar attitudes.The Nierenbergs found this in the sleek and simple Scandinavian designs in Denmark. They enlisted the work of Danish designer Jens Quistgaard whose designs they found absolutely beautiful and intelligent. 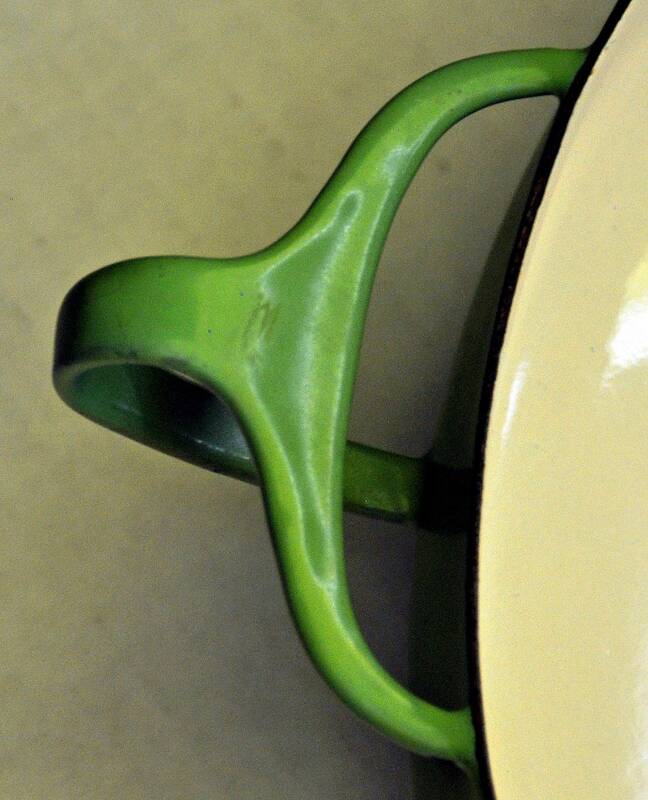 Jans was an early designer in the Dansk company and his designs are marked with his initials JHQ. 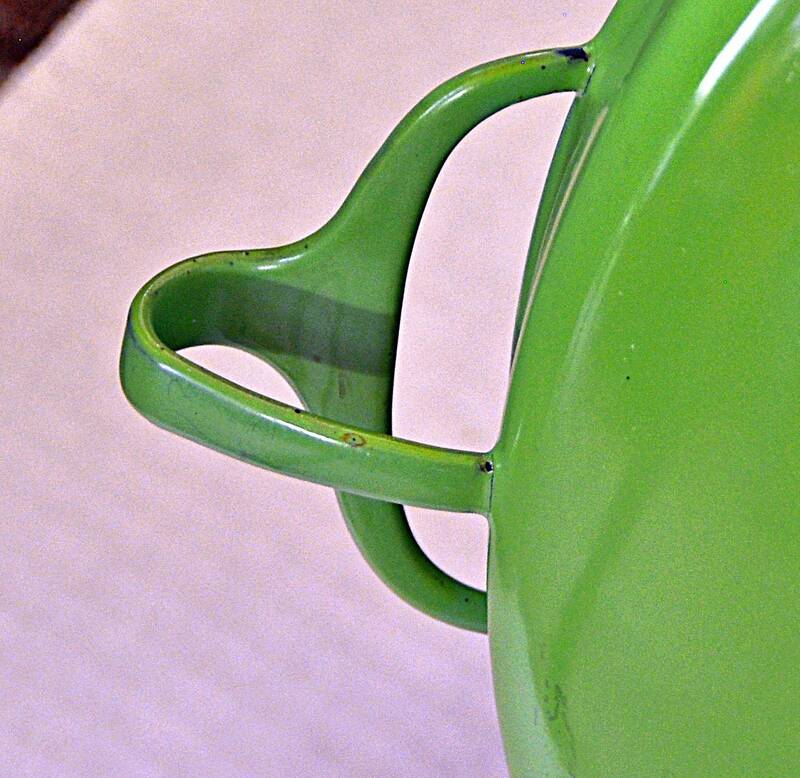 Sixty years later the Dansk designs are still greatly thriving and have have not changed their key design elements through all these years either. Not only in Dansk widely found in homes all over the world but you can also find select pieces in museums in New York, Washington DC, and the Louvre in Paris! Add a little vintage to your crackers and spreads! 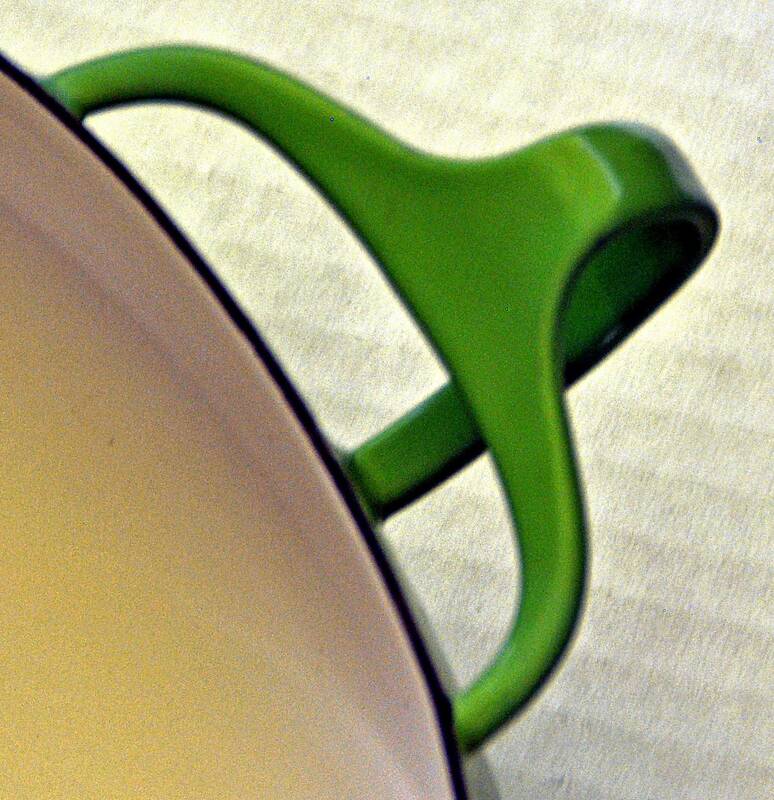 This is a fantastic vintage piece designed by the famous designer Jens H. Quistgaard for the Dansk company in the 1960s era. It is a small wooden circular serving tray that features a stainless steel spreader knife that sits part way inside the tray when not in use. Simply place cheese, crackers, or snack of your choice on the tray and carry to the table with the handle/knife, then slide the knife out from the tray and spread on your favorite topping! A very clever idea and typical of Dansk. The spreader is marked with 'Dansk Designs Scandinavian JHQ'.